A company that stays true to their company slogan “Now Everyone Can Fly”, you can find the best rates that will ensure you can travel on a budget. Simply make use any AirAsiaGo voucher code to get awesome deals on your next holiday! Have a fun-filled and worthwhile trip when you book your next one with AirAsiaGo. The site offers hotels, flights, flight+hotel, car rental, and tour packages across 100 countries. If you have access to the internet while on the go, you can also book flights and hotels on their app. Another app-exclusive feature that you can look forward to is having the ability to personalize your travel plans to match with your budget. 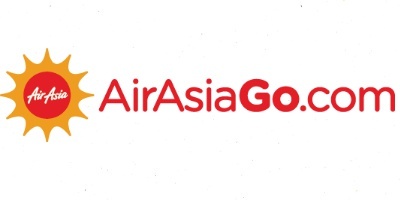 AirAsiaGo is handled by AirAsiaExpedia that is formed through the partnership between Expedia and AirAsia. What AirAsiaGo has to offer? Looking to plan an impromptu trip? With AirAsiaGo there are hourly deals as well as last minute discounts for your lodging which will allow you to still travel on a budget. There are also last-minute package deals which saves you the hassle of booking the flight and accommodation separately. Stay well-informed with the first-hand guest feedbacks and ratings. You may also input your feedback after your travels. Save even more when you utilise the AirAsiaGo promo code on the AirAsiaGo app where you can get up to 40% off when you book on the app. You can simply book hotels and flights anywhere by browsing through AirAsia’s wide flight network region-wide and more than 321,000 hotels around the world. The app also features itineraries that display in real time, with push notifications to keep you updated on your upcoming trips. The app is available for download for Apple and Android users. With AirAsiaGo website, searching for flights, tour packages, and accommodations is easy with its sorting tools and filters. What’s more, there’s a map view that allows you to arrange your next trip much easier. Whether you’re planning to take a car ride or take advantage of tour packages, you can always find one that will suit your budget and preference. You can also go backpacking and customise your trip so you will get to do what you want. With AirAsiaGo reviews and ratings, you’ll be up-to-date about customer experiences in various hotels across the globe. You can provide a feedback on your stay experience after your trip so you can help travelers decide. How to utilise AirAsiaGo coupons? Get discounts in an instant for your flights, hotel, transport and more with the best AirAsiaGo coupons. Here are steps on how you can redeem the coupons. Browse through all the latest coupons on the site. Select the coupon that you wish to use. You may either click on ‘View this Voucher’ or ‘Get this Deal’. Do copy the code only if it is available. If not, you can proceed to the site to get the deal. Once you are in the app or on the site, it is required for you to register as a user before searching for flights and hotels. As the booking confirmation will be sent to your email address. Simply select the number of people you are travelling with, destination, and travel dates. Click Search to check all the offers. Key in your details as well as your payment option. At the checkout page, simply paste the AirAsiaGo Coupon code into the designated promo code box. AirAsiaGo accepts debit and credit cards issued by Visa, MasterCard, JCB, and American Express. After confirming your payment, you will see your itinerary with a confirmed status. You will also receive this on your email that you used for making the booking. If you want to review your itinerary, just go to My Itineraries to check its status. If you want to cancel your hotel reservation, first, check the terms and conditions of the hotel to find out whether you can get a refund. You can also check the restrictions at the bottom section of your itinerary. If the hotel room you booked is refundable, AirAsiaGo will start processing your refund on your preferred cancellation date. AirAsiaGo customer service team is available 24/7 and can be reached by calling 03-7724-3023.